Another amazing addition to our HOT-YOUNG-DESIGN-TALENT corner - welcome Cecilia Hammarborg with super generous discounts on her best selling coats and macs as well as samples and one-offs from the current print-led SS11 collection. 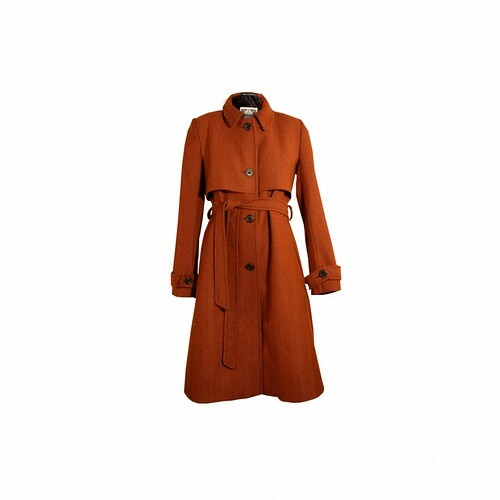 Cecilia Hammarborg's best selling four button mac, belted with a tailored cape and elegant boxpleat at the center back. Finest Italian wool with a brick-red herringbone pattern. 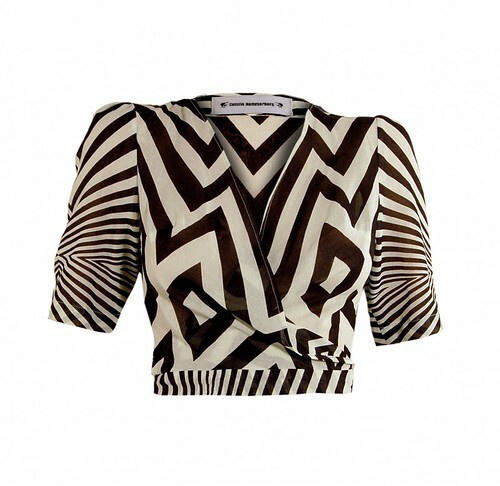 Gorgeous little cropped wraparound top with a bold geometric print, 3/4 length sleeves. 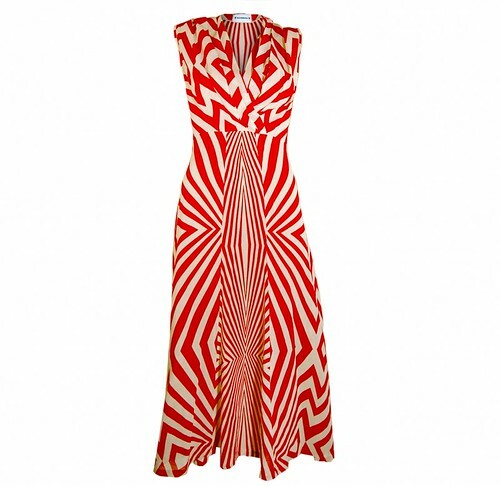 Perfect over a strappy dress and with high-waisted trousers or skirts.